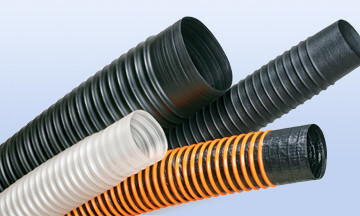 Our core product selection features a wide array of hoses to meet most of your ducting needs. Guaranteed in stock and ready to ship out within 24 hours of your order. 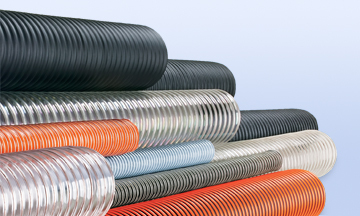 Our line of flexible thermoplastic along with TPR hose and ducting products are a necessity for all your air, dust, fume movement, and light material handling needs. 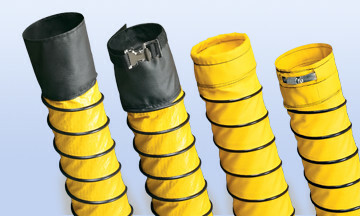 From clamps to storage to custom sewn cuffs, we have a variety of accessories to complement our hose and ducting.